On October 15, Microsoft co-founder Paul Allen passed away due to complications from non-Hodgkin’s lymphoma. At the time of his death, Allen was one of the wealthiest men in the world. His assets included two professional sports teams–the NFL’s Seattle Seahawks and the NBA’s Portland Trail Blazers–and he was also a noted philanthropist. Although most of us living here in Florida will never reach the notoriety or wealth of someone like Paul Allen, there are few important estate planning lessons we can take away from his life. Estate Planning Is Always Necessary–Especially if You’re Single. Allen was never married and reportedly has no children. His closest living relative is a sister. It’s unlikely Allen failed to make an estate plan, but if he did then by law his probate estate would go his sister. Even if you have a spouse or children, you should still have a will. But when you’re single and have no immediate family, it is especially critical to put your estate plan in writing. Otherwise, Florida’s intestacy law may give your property to some distant cousin you have barely spoken with in 30 years. It was not immediately clear, based on news reports, what would happen to Allen’s two professional sports teams. But once again, it’s likely Allen put a plan in place well before his death. If you own any sort of business, it is your responsibility to have a succession plan–even if it’s just to wind up and close the business after you’re gone. Paul Allen was one of the few Americans who needed to worry about the federal estate tax, which for a single person passing way in 2018 applies to their estate if it is worth more than $11.18 million. Even though you may not leave an eight-figure estate to your heirs, you still need to think about smaller potential tax issues. For example, the executor of your estate will still need to file your final federal income tax return and make sure the property taxes are current on your house. This is why it is important to keep good financial records during your lifetime. According to the New York Times, Allen “donated more than $2 billion toward nonprofit groups dedicated to the advancement of science, technology, education, the environment and the arts.” Most of us have more modest charitable goals. 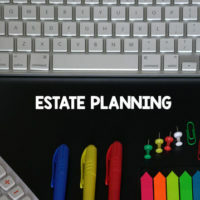 And when it comes to your estate plan, you may want to consider setting aside some money for your favorite charities, either by a direct gift in your will, or through a more complex mechanism like a charitable remainder trust. Whatever your goals, an experienced Fort Myers estate planning attorney can help you prepare a will or trust to meet them. Call us today at 239-333-4529 to schedule a free confidential consultation with a member of our team.